While Google's massive I/O keynote distracted the world this week with its furious torrent of new products and features, smaller-scale events across the globe were quietly showing the world something far more amazing than Android Auto: A glimpse into the crazy-powerful future of computing. From Hybrid Memory Cubes to 36-core computer chips powered by "shadow networks" to hyper-realistic androids, here's a look at all the potent future tech destined to become everyday reality somewhere down the line. Hit those links to learn about each in more detail. Okay, okay, scratch that everyday reality bit. The Massachusetts Institute of Technology's insane 36-core processor is an experiment that will never, ever hit mass production, but the results of this foray into boosting processor performance could very well be adopted by chip makers somewhere down the line. The chip is designed to reduce the number of cycles required to execute tasks by forcing data transfers between cores and cache to occur in a more orderly fashion, using a "shadow network" of mini-routers to control how the cores ping the cache for data. 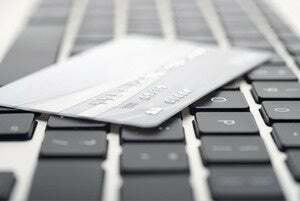 That allows the cache to anticipate and prioritize incoming data requests. It sounds complicated—and it is—but the MIT researchers say the shadow network processors have simulated performance gains of up to 24.1 percent over traditional multicore chips. 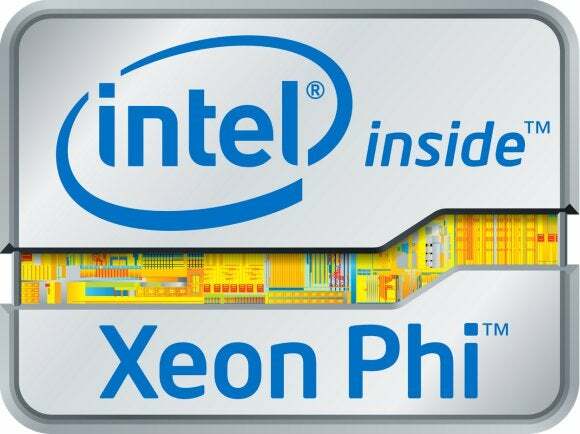 Speaking of powerful processors, Intel revealed more details about its hulking Xeon Phi (a.k.a. "Knight's Landing") processors at the International Supercomputing Conference this week in Leipzig, Germany. Knight's Landing is Intel's most powerful chip yet, delivering over 3 teraflops of peak performance. 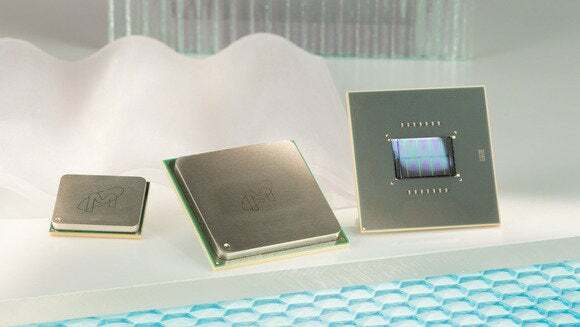 It's powered by at least 61 (Intel played coy with exact numbers) 14nm cores based on the low-power Silvermont chip architecture, with rumored support for up to 384GB of next-gen DDR4 RAM, and 16GB of integrated onboard memory via Micron's innovative new Hybrid Memory Cube technology. 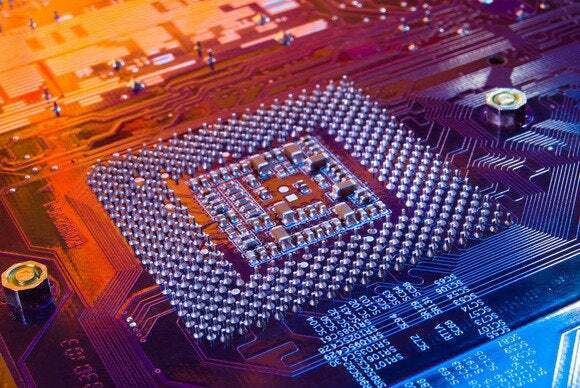 Micron's innovative Hybrid Memory Cube technology wants to shake up the status quo. 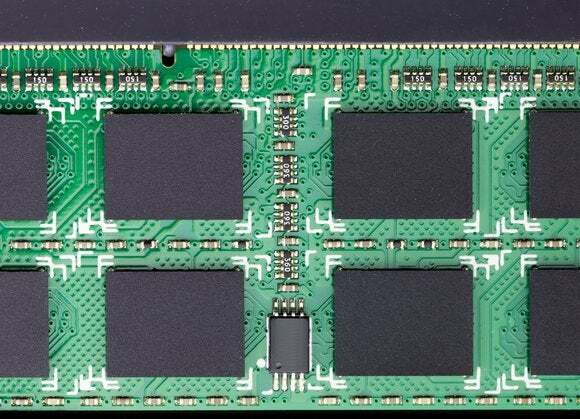 Micron's memory modules are placed as stacked chips in cubes, as opposed to traditional flat DRAM memory modules—though Hybrid Memory Cubes have to be soldered directly to the motherboard. Micron says the 3D design of Hybrid Memory Cubes offer 15 times more bandwidth than today's RAM, while using 70 percent less energy. Wowza, if the claim holds true. Look for Hybrid Memory Cubes to appear in supercomputers and servers in 2015, and possibly land in laptops thereafter. 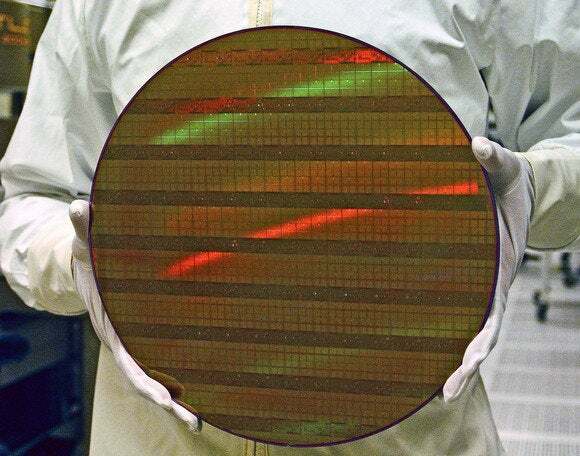 Micron's geometric gamble isn't the only memory innovation in the pipeline. After years of promises, DDR4 RAM—the successor to today's DDR3 memory—is poised to start shipping later this year. DDR4 will also bring improved performance and lower power requirements to the table, and what do you know? 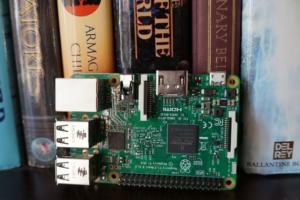 PCWorld just so happened to publish a primer on DDR4 this week. 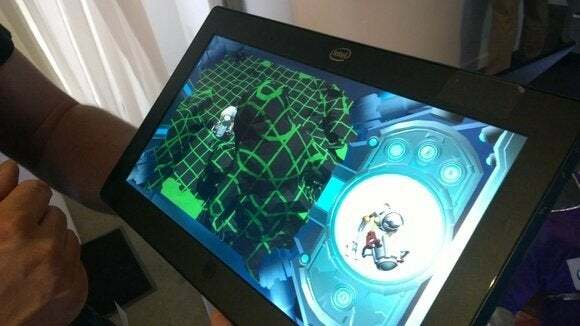 Intel's been teasing its RealSense 3D camera in laptops for a while, but at the Intel Future Showcase in New York this week, the company showed the tech in action in a tablet. RealSense is part of Intel's "perceptual computing" initiative, which wants to make PCs see, hear, and feel, so you can interact with computers more naturally. 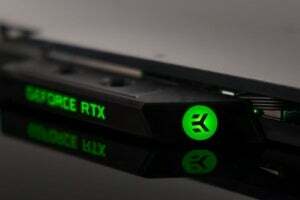 To that end, RealSense—which is essentially Intel's PC-focused take on Microsoft's Kinect—is designed to interact with your hardware's touchscreen and microphone, and it can perform nifty tricks like detecting your mood or making you appear to be in a place you're not. 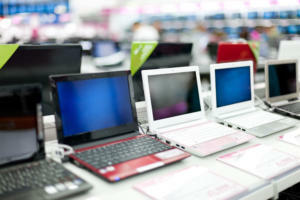 The laptop version was mighty impressive when we tried it out at CES. Look for RealSense in tablets early next year. All this futuristic tech talk doesn't have to be so serious. 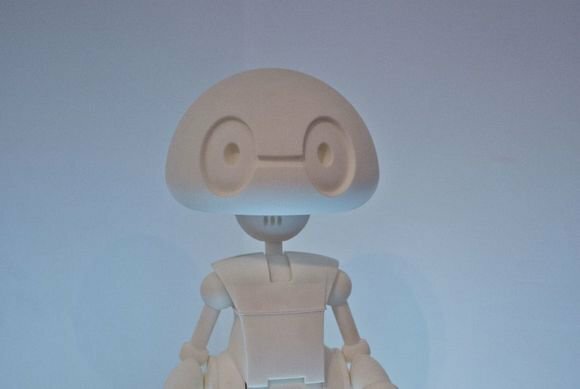 "Jimmy the Robot" made his debut at the Intel Future Showcase this week, the first in a series of robot kits Intel plans to release for use with 3D printers. Jimmy stands 17 inches tall on two legs and can walk around, turn on lights, and even have conversations, according to Intel. A pair of cameras embedded in the eyes helps Jimmy observe and analyze the world around him. And yes, the base Jimmy kit will eventually be upgraded to RealSense-derived cameras. Intel's hoping that Jimmy and other robot kits soon to follow will help spark interest in DIY robotics and 3D printing alike. Look for the base Jimmy kit to hit the streets in September for $1,500. 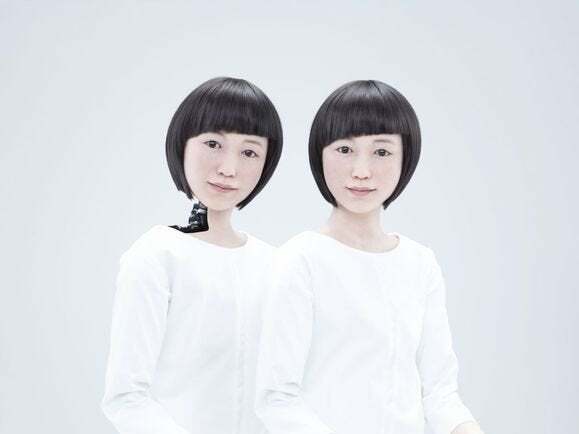 Finally, the National Museum of Emerging Science and Innovation (Miraikan) in Tokyo introduced Kodomoroid and Otonaroid as staff members this week—a pair of hyper-realistic androids designed to make patrons ponder what it means to be truly human. Otonaroid can be controlled by visitors, letting them experience what it's like to have a robot surrogate, while Kodomoroid is linked to the Internet and reads breaking news for museum attendees. A kind of “Pinocchio” moment occurred when Kodomoroid asked creator Hiroshi Ishiguro why he had created it. He responded that he wanted to create a child news announcer.